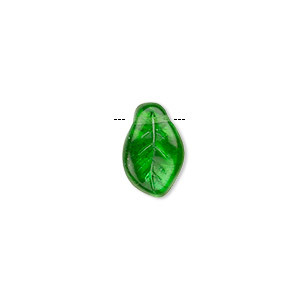 Bead, Czech pressed glass, jet AB, 14x9mm top-drilled leaf. Sold per 15" to 16" strand, approximately 60 beads. 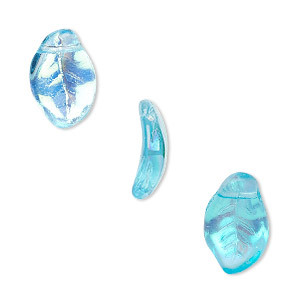 Czech pressed glass leaf beads with top-drilled design for greater beading versatility. Size and shape may vary slightly and color may vary from dye lot to dye lot. 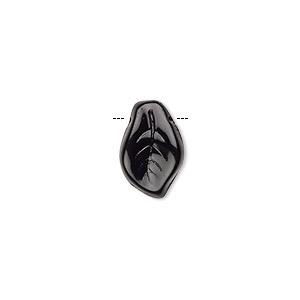 Bead, Czech pressed glass, opaque jet, 14x9mm top-drilled leaf. Sold per 16-inch strand, approximately 60 beads. 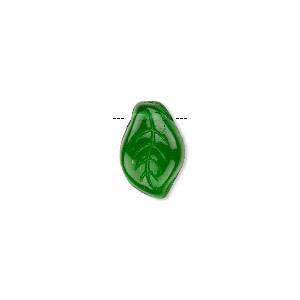 Bead, Czech pressed glass, emerald green AB, 14x9mm top-drilled leaf. Sold per 15-1/2" to 16" strand, approximately 60 beads. 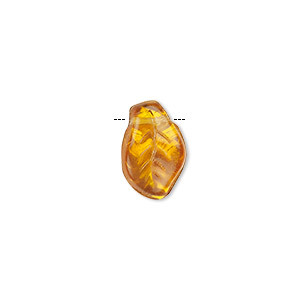 Bead, Czech pressed glass, honey AB, 14x9mm top-drilled leaf. Sold per 15-1/2" to 16" strand, approximately 60 beads. Bead, Czech pressed glass, clear AB, 14x9mm top-drilled leaf. Sold per 15-1/2" to 16" strand, approximately 60 beads. 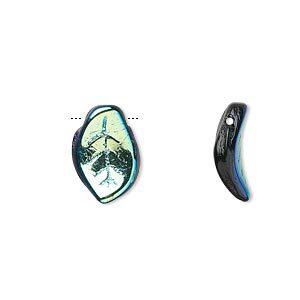 Bead, Czech pressed glass, aqua AB, 14x9mm top-drilled leaf. Sold per 15-1/2" to 16" strand, approximately 60 beads. 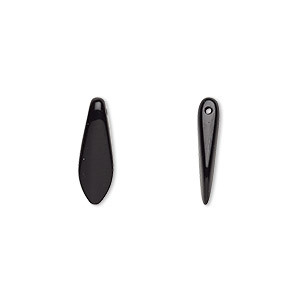 Bead, Czech pressed glass, jet, 15.5x5mm top-drilled dagger. Sold per 15-1/2" to 16" strand, approximately 135-150 beads. 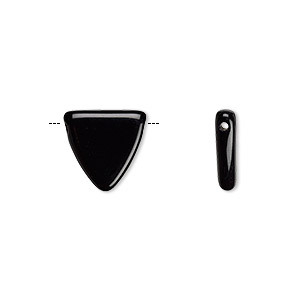 Bead, Czech pressed glass, jet, 13x13x12mm top-drilled flat triangle. Sold per 16-inch strand, approximately 30 beads. Bead, Czech pressed glass, emerald green, 14x9mm top-drilled leaf. Sold per 15-1/2" to 16" strand, approximately 60 beads. 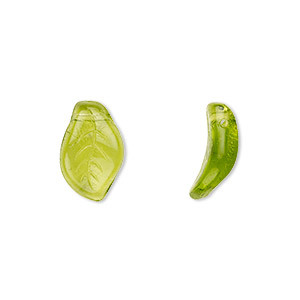 Bead, Czech pressed glass, olivine, 14x9mm top-drilled leaf. Sold per 15-1/2" to 16" strand, approximately 60 beads. 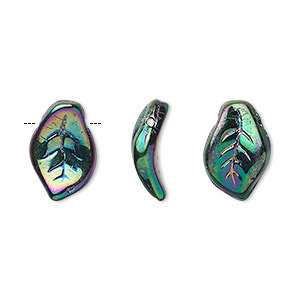 Bead, Czech pressed glass, iris green, 14x9mm top-drilled leaf. Sold per 15-1/2" to 16" strand, approximately 60 beads.